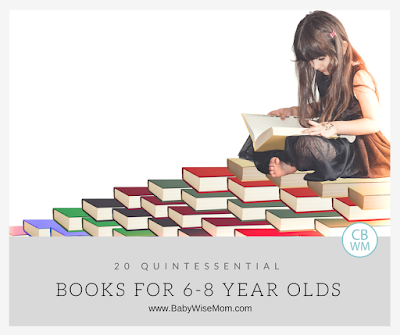 Books for 6-8 year olds. Books for elementary age children. If your child is six to eight years old, you probably find him/her waffling between picture books and chapter books. The reality is, there is no reason to choose one type of book and stick to it. 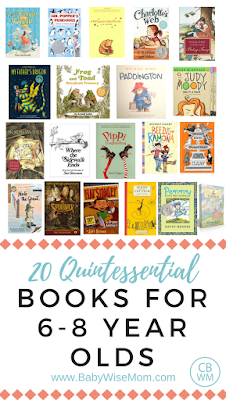 Here are 20 quintessential books for your 6-8 year old to read. These are great books to add to your home library. We love to give books as gifts, so every Easter, Birthday, and Christmas, each of our children get a book.